repetition, rhythm, alliteration, metaphor, simile, understatement, oxymoron, litote, hyperbole, antithesis, analogy, amplification, allusion, contradiction, paradox, irony, sarcasm, apostrophe (speaking directly to the reader), connotation etc. war words, everyday words, spoken language, active verbs, emotional words, sports words, political words etc. Your analysis - your groups - your choice. Refutation (gendrivelse) "Some people may say that...but..."
Cover (rygdækning) "Most experts agree..."
Emphasis (styrkemarkør) "I really/strongly believe from the bottom of my heart..."
When you analyse non-fiction texts, you need a different set of tools than the ones you normally use to analyse fiction. 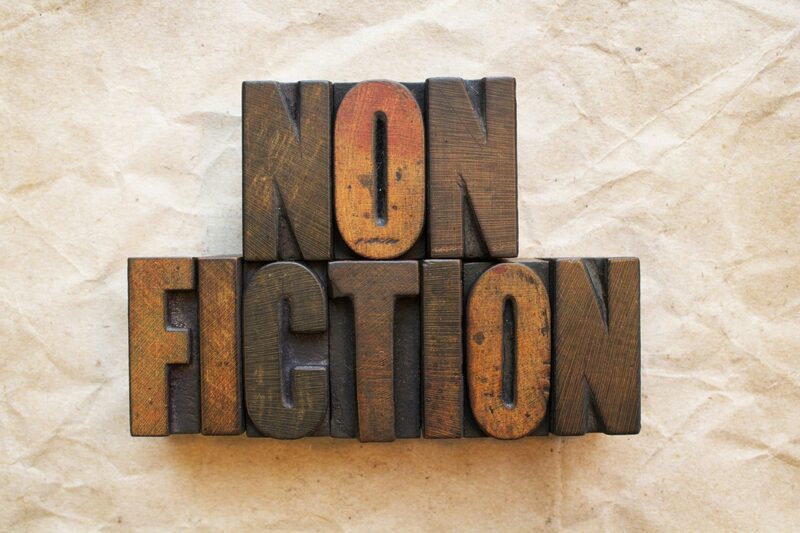 The genre non-fiction is very open and the texts you will meet will therefore be very different from each other. Please bear this in mind and try to select among the tools below based on your own common sense and your sense of what is required for the particular text you are dealing with. This model explains that there is always some sort of relationship between the topic, the audience and the language for instance. In other words: it plays a role who you are writing/speaking to, what your topic is, what the situation is etc. 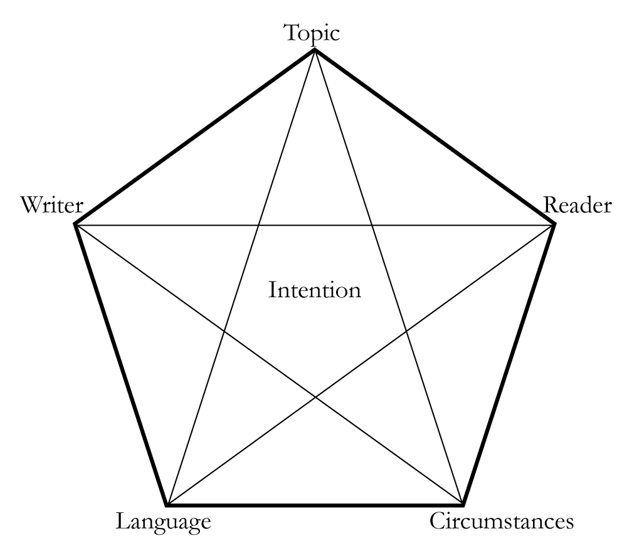 Try to use this model to understand and explain how the other factors have an influence on the language (and style) employed by the writer/sender. Read more here. Analyse the text to figure out whether the speaker/writer appeals to ethos, logos or pathos in his/her audience. Think about whether the text is dominated by one of the appeals or whether one of them is lacking. Watch this explanation. Rhetorical devices are tools employed in a text to pursuade the reader of an argument. Repetition, rhytm etc. may be used for this end. When analysing the use of rhetorical devices in a text, always focus on how they affect the reader - or think about why they are used by the writer. Read about (some of the) rhertorical devices here. Looking at the words used in the text may give you an understanding of what the sender is trying to do. Semantic groups are groups of words that somehow naturally belong together under a heading (that you create). Maybe the text is using words associated to school, home life or war to explain a situation. Maybe the text consists of two or three semantic groups to create antithesis or order. This is an instance where your close reading skills may shine. The basic assumption of discourse analysis is that our way of looking at the world and understanding it is formed and influenced by the way that we speak about it. Whether we choose to call the IRA terrorists or freedom fighters is an expression of our underlying ideology (or discourse) and it also creates and forms our understanding of the world. The labels we put on an object partake in creating the identity of that object - if we continue to use the term freedom fighter, we slowly erase other labels, such as terrorist. This means that we create a discourse in which the IRA are not terrorists. This discourse may persuade both ourselves and others. Discourse, therefore, is a kind of hidden argumentation. There are many types of argumentation. These are some of them. Slippery slope argument - "If we do this, all sorts of accidents will happen." Expert argument - "We should do this because the expert(s) say(s) so." Quantity argument - "Do this because this is what most people do." Individuality argument - "Be yourself." Exclusivity argument - "If you do this, you get special treatment." Safety argument - "Buy an insurance - better safe than sorry." Threat argument - "Build a wall: the Mexicans are coming." Generalisations, comparisons and repetitions are also often used in argumentation. You can discuss whether an argument is valid or invalid. Arguments such as as slippery slope arguments and generalisations are often termed logical fallacies. Characterise the style of the text using your own words - or some of the words on the right.